1883 99 year lease from 24/06/1881 granted by A. Chancellor of The Retreat, Richmond to Frederick Hampton, Builder at an annual rent of £7/10/-. 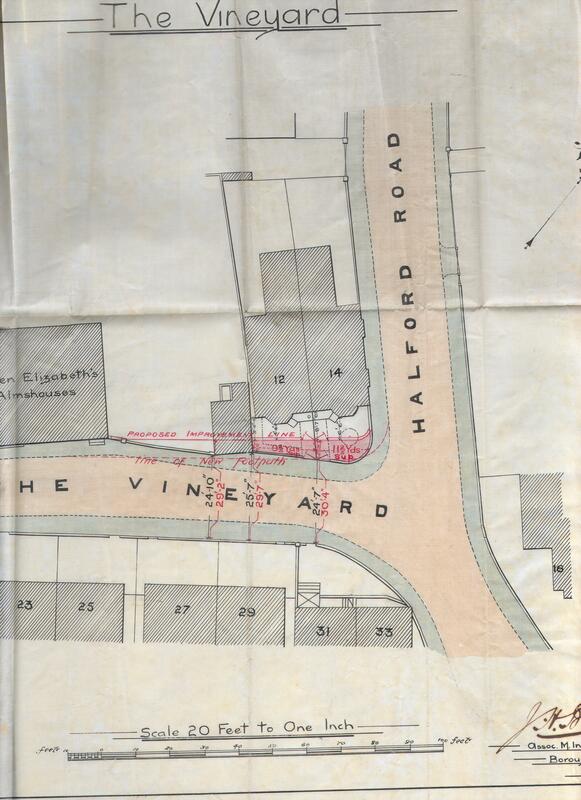 1884 Frederick Hampton of Halford House, Builder assigned the lease of both 1 & 2 Cambula Villas to Thomas Richardson of 2, Halford Road for the sum of £800 for the 2 properties. 1884 Mr Thomas Richardson obtained a £400 mortgage on the 2 properties from G.J.West Esq.. and Frederick Dixon Esq..
1888 Mr Thomas Richardson (now living at 358 Kingsland Road, Middlesex) obtained a £300 mortgage on the 2 properties from The Fourth City Mutual Benefit Building Society. 1891 Census: Sarah Maggs, living on her own means, her adult daughter and a servant. 1901 Census: Mary and Sarah Willis, sisters, both retired school mistresses.